"I love stories," Rosh said to his son as they began their daily trek together, "They were the capsules in which ancients concealed their insights before lobbing them out into the sea of time." "These capsules survived time itself, preserving the wisdom inside them for posterity. Take The Arabian Nights for example, which is a collection of stories and folk tales compiled in Arabic during the Islamic Golden Age." "These stories were originally collected over many centuries by various authors, translators, and scholars across West, Central, South Asia and North Africa." "They date back to ancient and medieval Arabic, Persian, Indian, Egyptian and Mesopotamian folklore and literature." "Some tales were probably folk stories from the Caliphate era. Others, especially the frame story, were most likely translated from a Pahlavi Persian book Hazār Afsān." "What is a Caliphate, Pa?" asked Josh. "Khalifa (English: Caliph) is an Arabic word meaning 'One who replaces someone else who left or died'." "Khilafa (English: Caliphate) is another similar and related Arabic word which means the government of a Muslim state, of which the Khalifa is the head." "So a Khilafa was essentially an Ummah (yet another Arabic word, which means sovereign nation state) which was ruled by a single Caliph. Khalifa was like the president or king, and Khilafa was his presidency or kingdom." “I say ‘his’ kingdom because some Muslim scholars have outlined some eligibility criteria for the title of Khalifa. Besides other conditions, a Khalifa must be a Muslim and a man." "These scholars say the gender condition is based on the hadith where the Prophet stated that a nation would not profit under a woman as its leader." "Is Hadith another name for the Koran, Pa?" asked Josh. “As use of deductive reasoning in deriving laws directly from the Quran was sidelined, the authority of hadith gradually replaced the Quran to provide a controversial basis of the Shariah models of Islamic law." "In so far as selection of the Khalifa is concerned, the Sunni branch of Islam stipulates that as a head of state, a Caliph should be elected by Muslims or their representatives." "Followers of Shia Islam, however, believed a Caliph should be an Imam from the Ahl al-Bayt (the 'Family of the House', or Muhammad's direct descendants) since Muhammad was chosen by Allah himself." "So, different people ended up choosing their Caliphs differently. Caliphate era therefore, comprised of the succession of Caliphates, or Muslim empires and nation states between 632 - 1924 AD, each of which were led by a supreme religious and political leader known as a Caliph." "Caliphs don't exist now, do they Pa?" asked Josh. "Since the 15th century, the Caliphate was claimed by the powerful Turkish Ottoman sultans. But by World War I, the Ottoman state had become much weaker, despite representing the largest and most powerful independent Islamic political entity in the world." "After World War I, the first Turkish President, Mustafa Kemal Atatürk, as part of his national reforms, constitutionally abolished the institution of the Caliphate in 1924. Its powers within Turkey were transferred to the parliament of the newly formed Turkish Republic." "The title was then claimed by King Hussein bin Ali of Hejaz, leader of the Arab Revolt. But his kingdom was defeated and annexed by Ibn Saud in 1925. Ibn Saud went on to conquer almost all of central Arabia. He was crowned as King Abdulaziz, and internationally recognized as the first monarch of the newly formed Kingdom Of Saudi Arabia." "The institution of the Caliphate was thereafter inactive for almost a century. 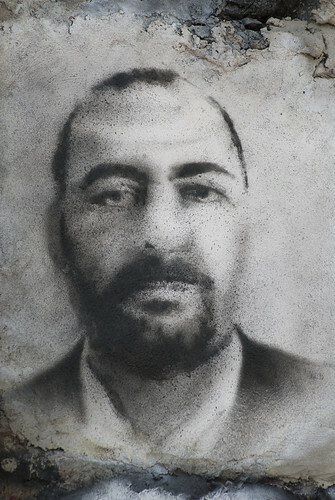 Then on June 29, 2014, the internationally unrecognized Islamic State of Iraq and the Levant (ISIL or ISIS) declared a new Caliphate, naming Abu Bakr al-Baghdadi as the new Caliph." "He is nicknamed The Invisible Sheikh," answered Rosh, "as the Iraqi ISIS chief reportedly wears a mask to address his commanders. In October 2011, the US officially designated Baghdadi as Terrorist and offered a 10 million US dollar reward for information leading to his capture or death." "He has been linked to al-Qaeda, but both sides deny any connection. Anyway, ISIS is pulling in thousands of new recruits and has become a cohesive militia in the Middle East today." "The true heir to Osama bin Laden may be ISIS leader Abu Bakr al-Baghdadi: David Ignatius wrote in The Washington Post recently."